My Street Grocery Internship is looking for college students for a summer internship now through September. Students interested in marketing, business development, operations, customer relations, and more are encouraged to apply. This is an unpaid position that may qualify for educational credit. 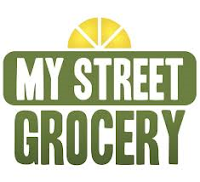 My Street Grocery, located in Portland, is a mobile grocer who brings fresh food to residents of underserved communities who cannot get fresh market food on their own. Their mobile trucks supply food to customers throughout the greater Portland area. Interns work 15-20 hours a week in areas such as sales and marketing, promotions, merchandising, ordering and inventory planning and management. Applicants must have a strong desire to work with customers, an interest in nutrition awareness, and excellent communication skills. Spanish, Vietnamese, or Russian language skills are a plus. The ideal candidate will have a strong interest in health and nutrition and the ability to manage multiple projects. Students may indicate their area of interest when applying. They will be asked to explain their interest in food and why they want to work in underserved communities. The location is usually in OREGON.